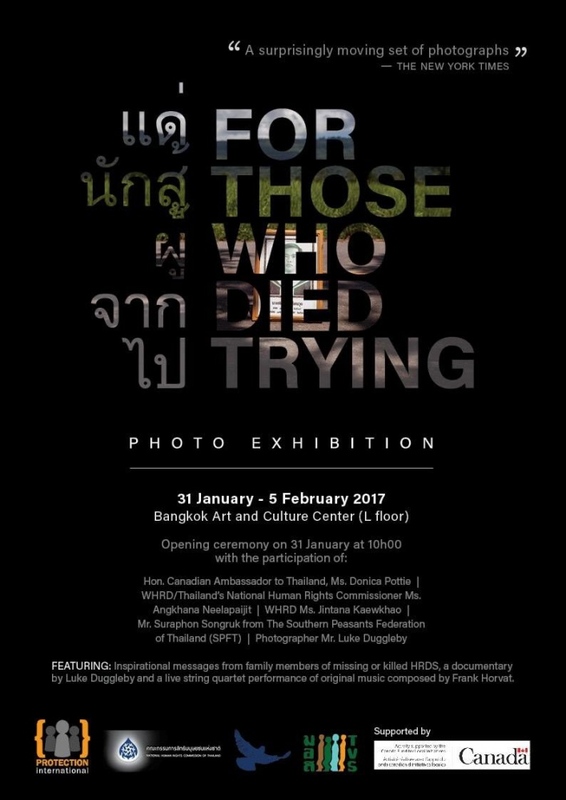 Finally, one year after completing the documentary For Those Who Died Trying, it will be exhibited in the country it was produced - Thailand. 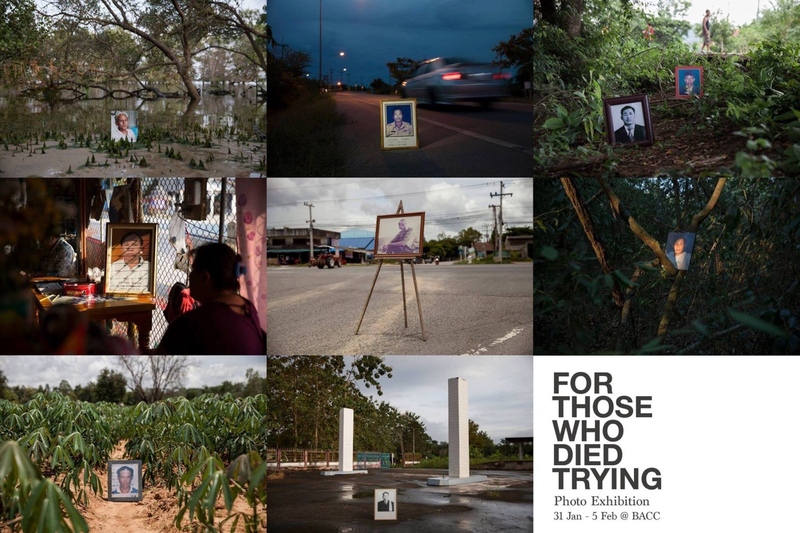 For Those Who Died Trying looks to remember Thai environmental activists and human rights defenders who were killed fighting for what's right. 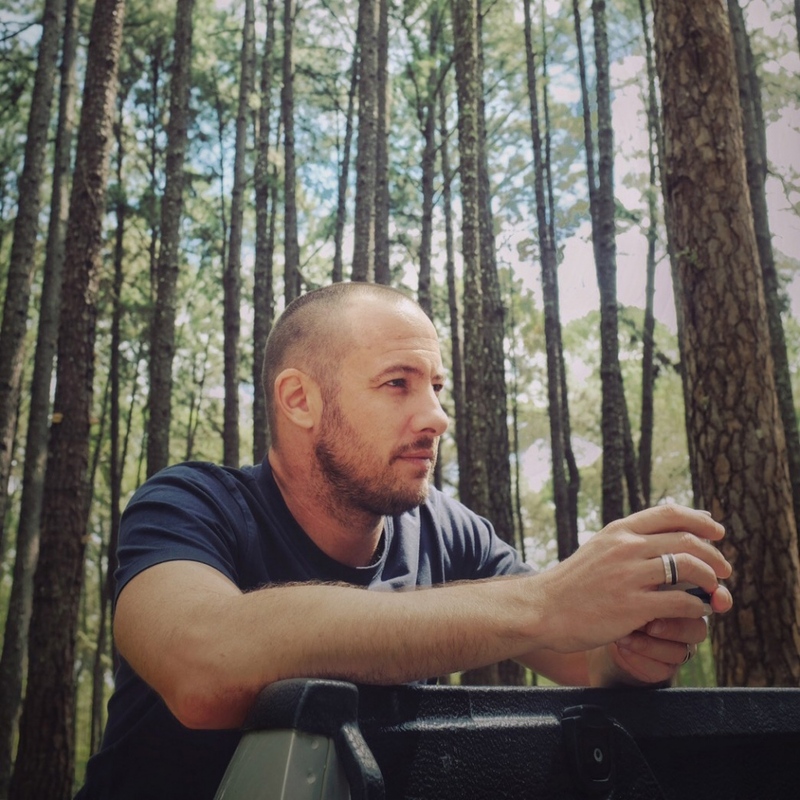 A photograph of each person is placed on the exact location, or as close to as possible, where the person was killed or disappeared. Research by NGO Protection Intermational says that over 50 people have been murdered or abducted in the last 20 years. 35 large prints representing 37 people will be shown at the Bangkok Arts and Cultural Centre from January 31st to February 5th. After that it will be show at the Chiang Mai Photo Festival for the rest of February. To read more about this documentary you can visit www.lukeduggleby.com.